Surrounding the DCI Columbia major event on June 24, the Columbia Missourian followed members of the Madison Scouts from rehearsal to performance. The article appeared in the Sunday edition of the paper. Read the online version. 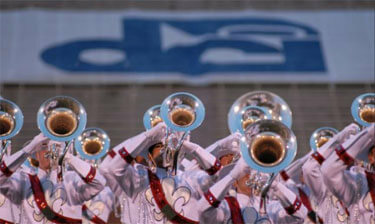 The Madison Scouts' brass line performs during the June 24, DCI Columbia event in Columbia, Mo.